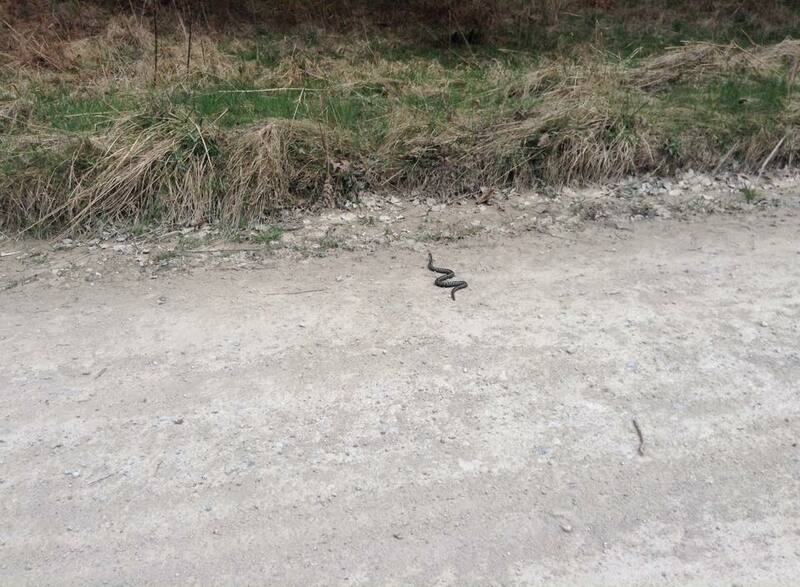 We’ve already spotted two different adders on the same day this week in the forest. Adders are common snakes on the North York Moors generally and their presence demonstrates a healthy environment. There is a thriving population in Dalby Forest and they are quite shy animals and will tend to move away from noise and movement. They are, as a rule, not aggressive but they do have a nasty bite (and most people who are bitten will have been so while trying to handle them or actually stepping on them).They are more active on warmer days and start to hibernate when the weather gets cooler. They really are unlikely to be encountered so we really got lucky to see two thanks to the arrival of the Spring sunshine. Hope you get to spot one too but of course they are wild animals, so what you shouldn’t do is pick them up! Categories: Uncategorized | Tags: adder, Dalby, spring | Permalink.